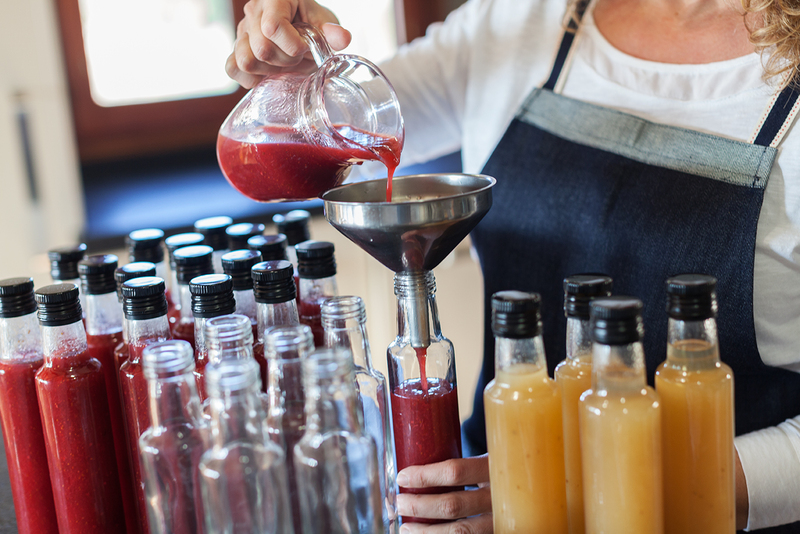 The activity of Maria Soler, l’art de la conserva (Maria Soler, the art of the preserve) is focused on the handmade production of vinegars, as well as the manufacture of marmalades, jellies and chutneys. For the production of all products I carefully select the fruits and the vegetables. All of them are seasonal, local and have matured on the tree. The production process does not include any preservatives other than the vinegar, the sugar or the lemon juice. That way I obtain a very tasty handcraft product, with its own personality, a product that is thoroughly cooked and with full care. They are elaborated on the basis of apple vinegar and spices like mustard, clove and cinnamon. I have an assortment of six vinegars WITH or WITHOUT SUGAR. They are cooked only with sugar and lemon juice.